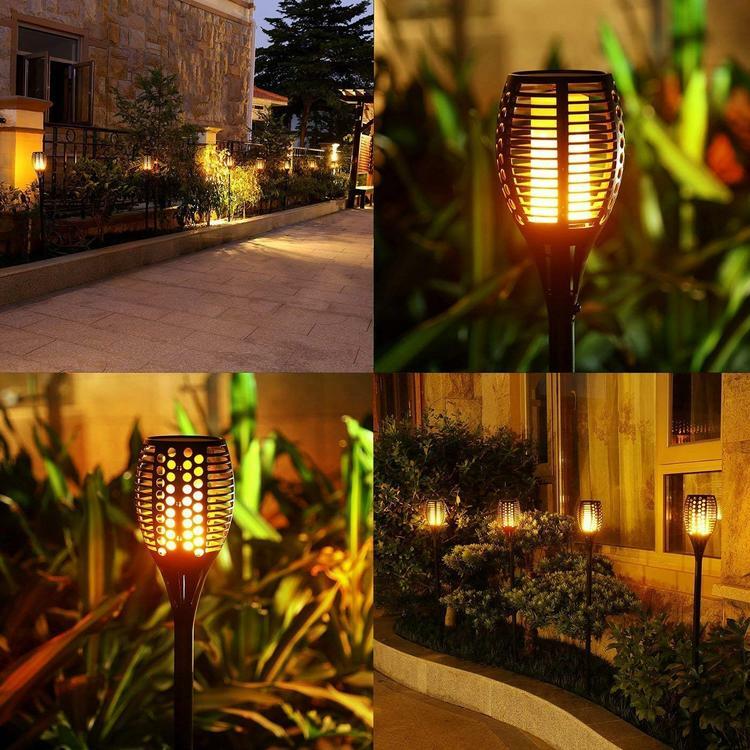 This solar light consists of 96 LEDs, each LED flickers warm yellow lights, dozens of changes of flame, providing extremely realistic flickering light, enjoy the romantic dancing flame. Auto identify day and night, comes with level IP65 waterproof to resistant rain. Solar panel span life: more than 5 years. Top-mounted solar panel with daylight sensor, auto solar power charging, powered by built-in Li-ion rechargeable battery, no wiring required, no electric needed. High-capacity 2200mAh built-in battery, 3.7V. It works up to 8 hours in summer and 5 hours in winter after fully charged. Charging time is approx 8-10 hours, it has a manual on/off button. Application for areas such as yard, pathways, pool, garden, bench, patio, fence, deck, or outdoor events like party, camping, barbecue, wedding, Christmas, Halloween festival.